July 2013 – An ultrasound workshop designed and directed by students from the UC Irvine School of Medicine, combined lectures and real-time ultrasound scanning using healthy human models, eight interactive hands-on learning stations (including the SonoSim® Ultrasound Training Solution), and image interpretation sessions. For three hours each day, students rotated through several hands-on learning stations enabling students to gain practical experience while refining their ultrasound skills. Introducing SonoSim to the workshop not only enabled instructors to demonstrate pathology which would otherwise be unavailable, it also increased the amount of hands-on time students had with probes and ultrasound image acquisition. Four of the eight learning stations included the SonoSim® Ultrasound Training Solution, which provided students the opportunity to view normal anatomy followed by pathologic cases using the SonoSimulator®. 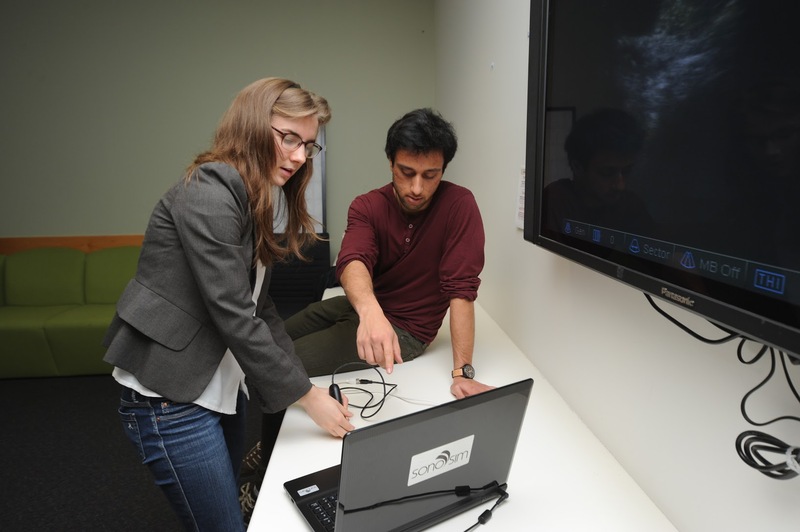 Preeminent faculty at UNE, as well as international renowned experts in ultrasonography joined the UC Irvine students in the training program that attracted over 100 medical students from around Australia. Prior to the beginning of the workshops, the five UCI students, along with three Australian physicians who oversaw the hands-on stations, were trained in ultrasound using SonoSim. The faculty at UNE were absolutely thrilled toincorporate SonoSim into the workshop series. Data collected from these assessments and others throughout the workshop series, is part of an ongoing study and will be used in futurevpublications.